Did you get the Swirlydoos Wistful Blues Medium Add On Kit? It's loaded with some fabulous new products including milk paint and some Shimmerz Inklingz, and they are amazing to use. 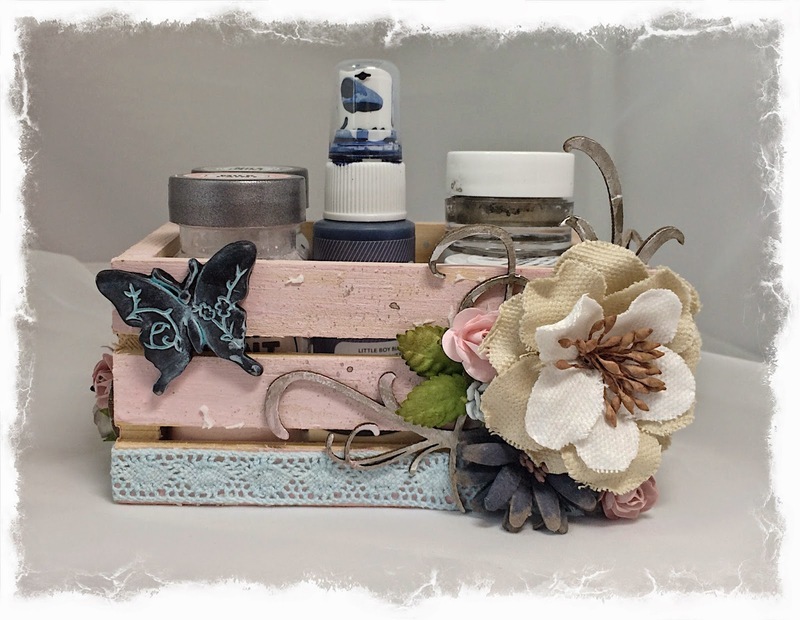 Here's a little mixed media caddy I made with all the products to showcase what you can do with them. So, enjoy the rest of your weekend!